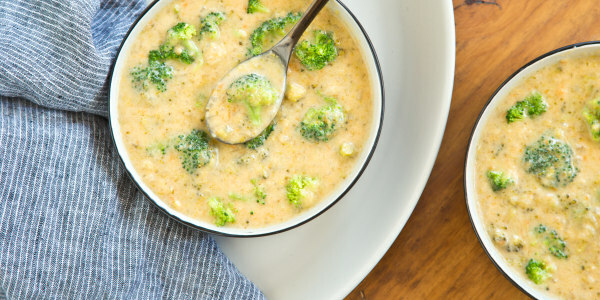 Craving some broccoli cheddar soup? Now you barely have to leave your bed. Ordering a soup, salad or sandwich from Panera just got even more convenient now that the bakery-cafe, known for its menu options without artificial additives, is offering delivery from more than half of its 2,300 restaurants across 43 states. But unlike many restaurants using third party delivery services like Uber, Panera is following in the footsteps of mainstream pizza companies and employing its very own mobile team to carry out orders. Panera certainly isn't the first restaurant chain offering easy delivery outside of pizza chains or Chinese takeout shops. But Panera Bread CEO Blaine Hurst, who once served as Papa John’s vice chairman and president, told TODAY Food that he believes many of the brand’s healthier food choices will resonate with modern consumers who are more concerned about what's really in their food, which will ultimately give Panera a leg up over the competition known for their higher-calorie, higher-fat meals. He also thinks the company’s technology will set them apart in an increasingly crowded delivery space, explaining that Panera “is the largest digital restaurant company outside of the big pizza guys in the U.S.” with more than 30 percent of its sales being completed digitally today. Like Domino's, Panera's delivery service is an entirely digital process since customers can order through the Panera website or app, and watch as their driver makes his or her way to the final destination. But the bakery-cafe has no plans to launch self-driving delivery trucks like Pizza Hut anytime soon. Instead of using a third-party delivery service, Panera made the decision to hire its own drivers, both to maintain overall quality of the final product and manage the heavy lunchtime volume at some locations, according to Hurst. He said the bakery-cafe will hire at least seven to eight drivers for each store that has delivery. The company says more than 13,000 jobs have already been created. But delivery at Panera almost didn’t happen. In the midst of a test in Louisville, Kentucky, corporate team members were ready to pull the plug after complications arose while hiring drivers due to competition from UPS and other companies in the area. But Hurst encouraged the chain to complete the test, believing it would work and, after some additional marketing and promotion, the launch proved successful at the end of 2014. To celebrate the launch of near-nationwide delivery, participating Panera locations are offering one free cup of soup to anyone ordering food on May 9 (just make sure to have the promo code PANERADELIVERS handy). For standard orders, there is a $3 delivery fee and orders must be a minimum of $5 to qualify. If Panera's delivery rollout continues to be a success, maybe they’ll follow Domino’s lead and start delivering to places without addresses — like public parks, iconic monuments, sports stadiums and even the beach!